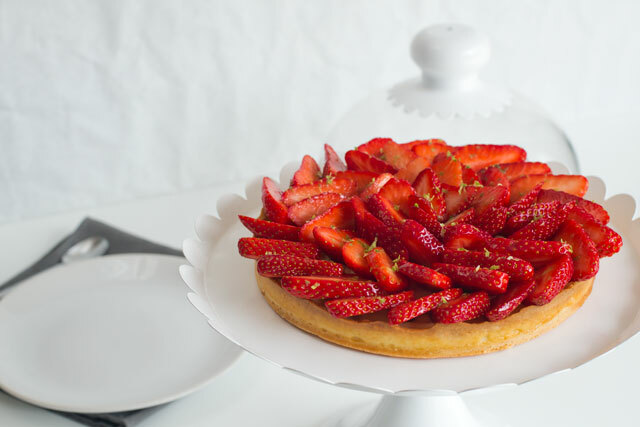 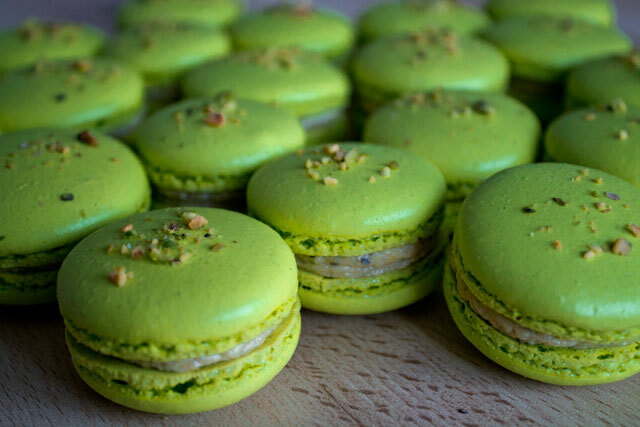 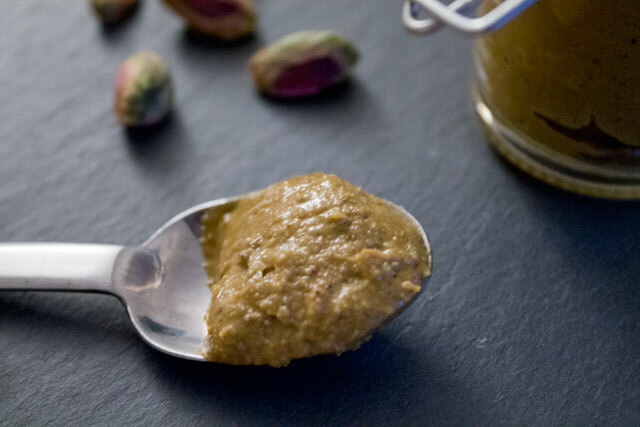 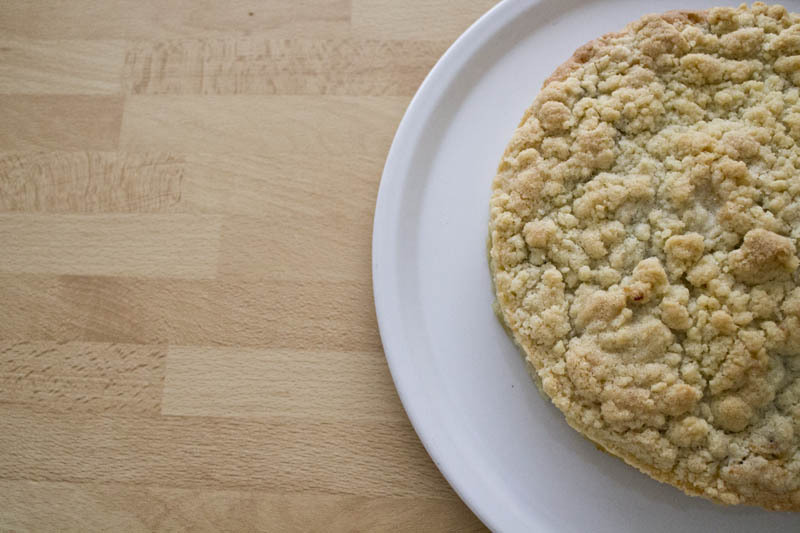 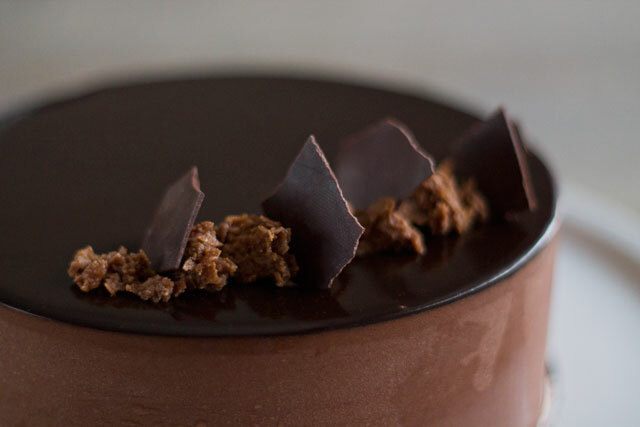 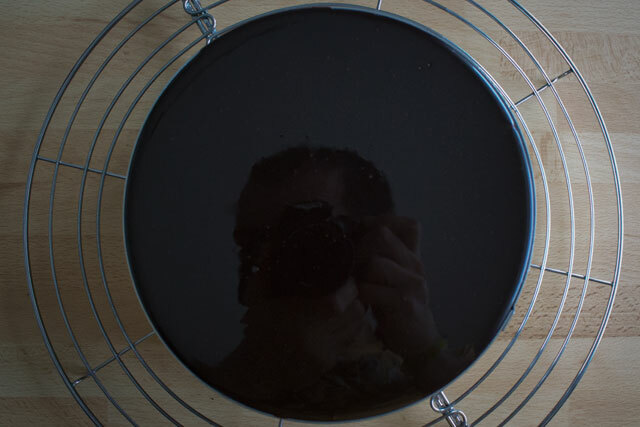 And here I am, back on the blog after the holidays, for the first recipe of 2015! 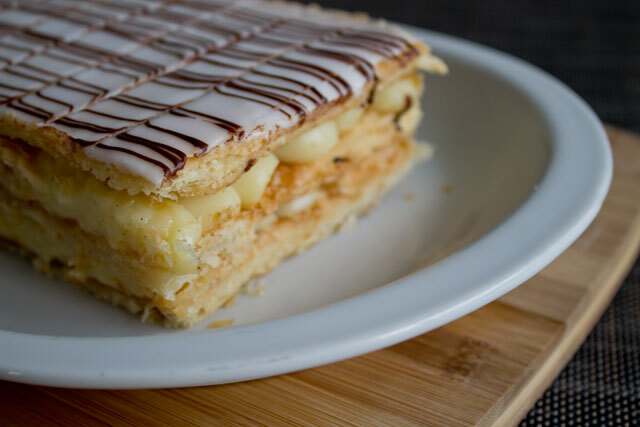 And what’s better than kicking the year with a great French classic? 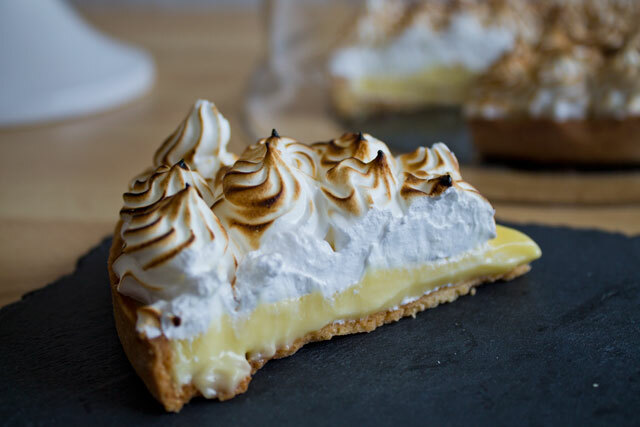 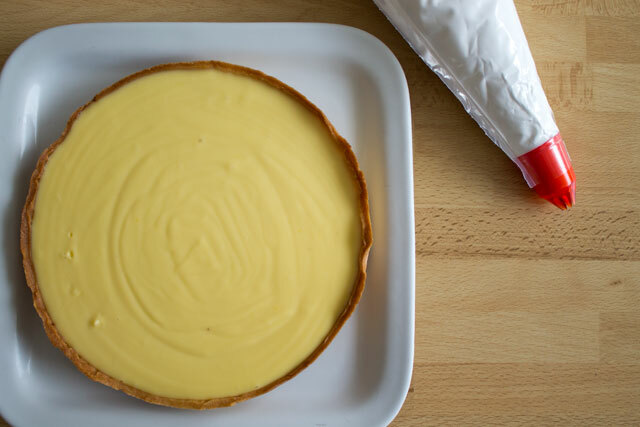 The lemon meringue tart (“tarte au citron meringuée”) has the perfect balance of flavour: the lemon curd is tangy and creamy, but on the other side, the browned Italian meringue is soft and sweet and everything is packed in a crunchy shortbread crust. 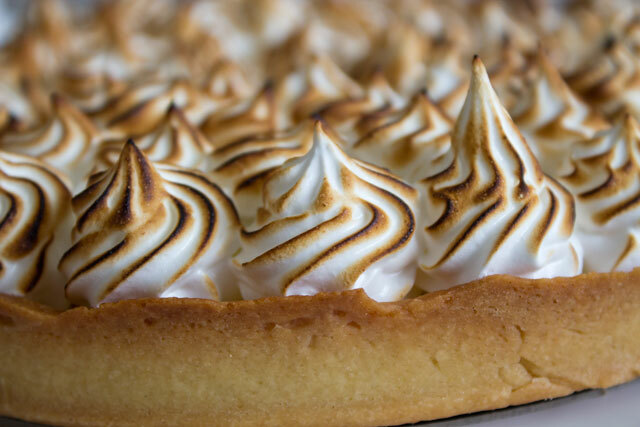 As a reminder, the meringue is not a crunchy baked meringue: in pastry, any mixture of egg whites and sugar is called meringue. 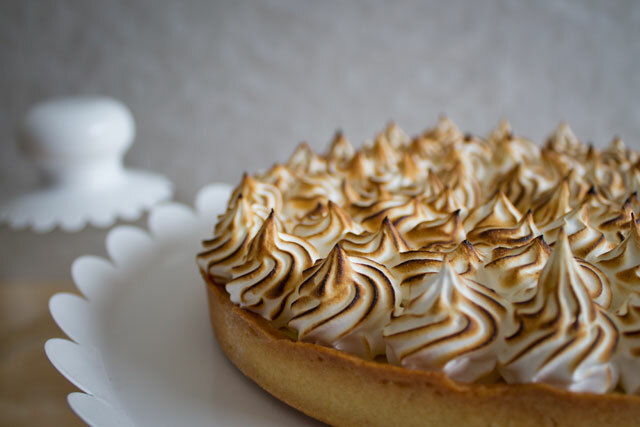 And this Italian meringue is a specific type where a sugar syrup at 118°C is added while whipping the egg whites. 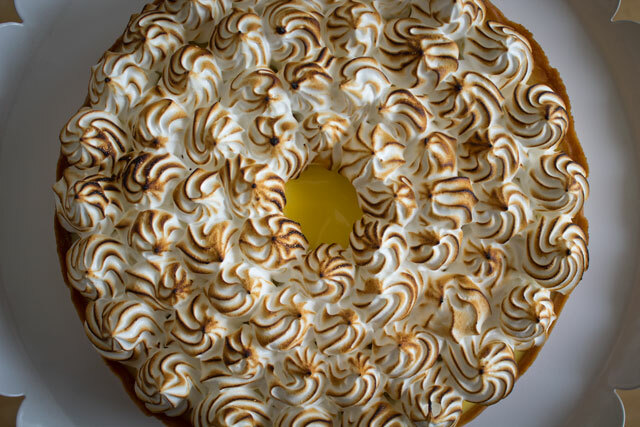 Finally the Italian meringue is great to be browned with a pastry torch! 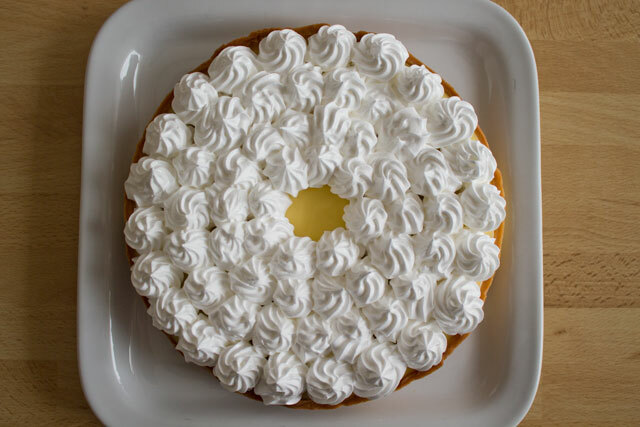 But of course, you can pipe any decoration you like on top of the tart (I like using a star tip for my piping bag and I usually leave the centre of the tart with no meringue, so the cream shows), and you can also spread the meringue in a random pattern with a spatula. 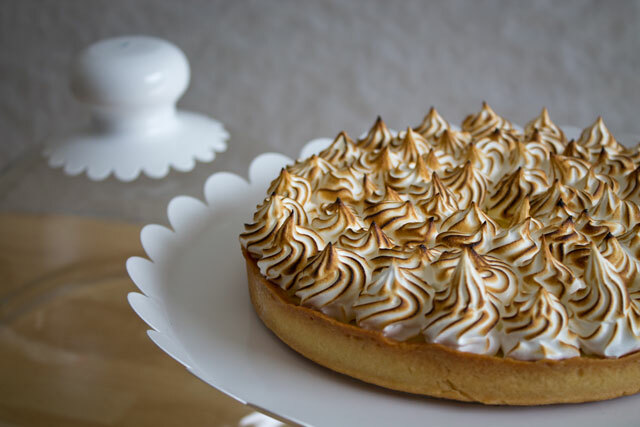 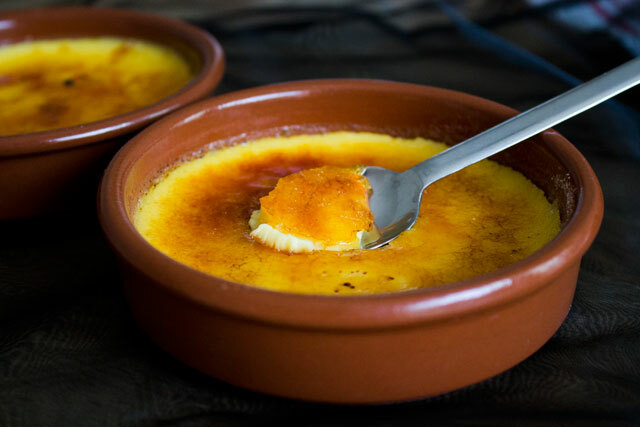 Finally, if you don’t have a propane torch, no worries: you can put the fridge-cold tart with the room temperature meringue for a few seconds in a pre-heated oven at the maximum temperature with the grill/broiler on. 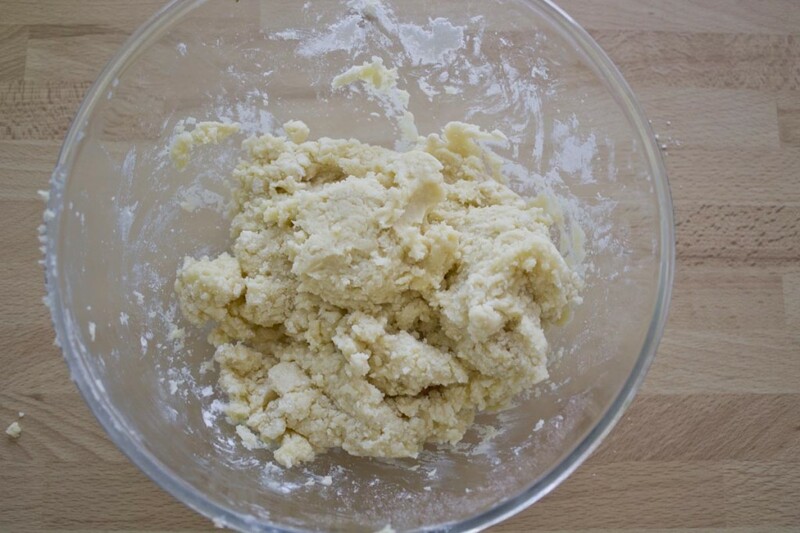 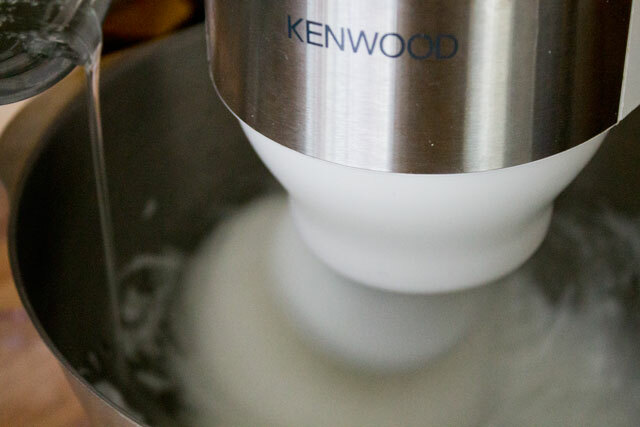 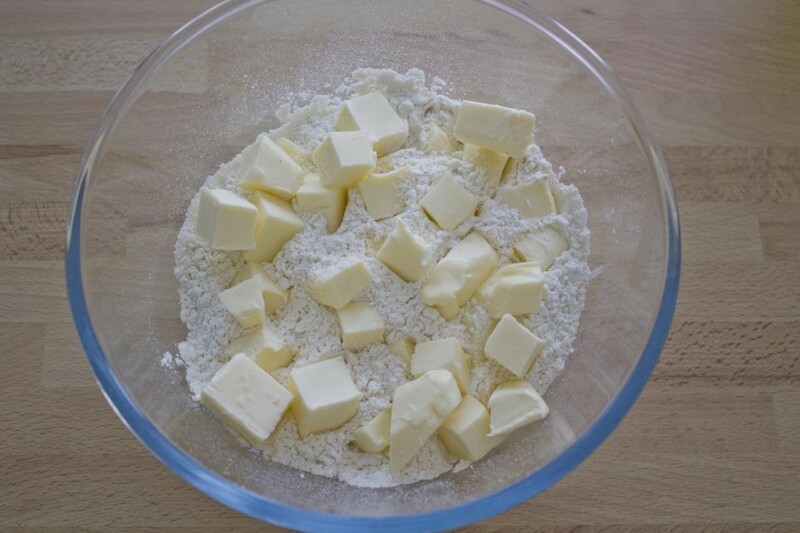 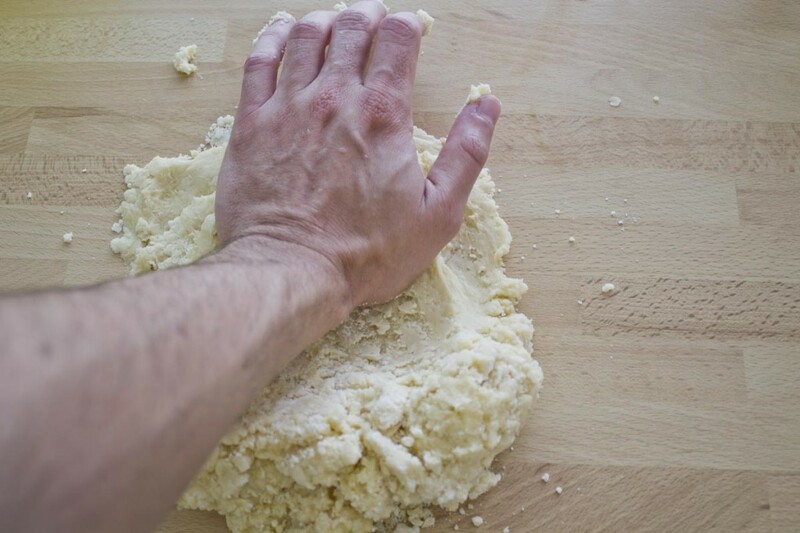 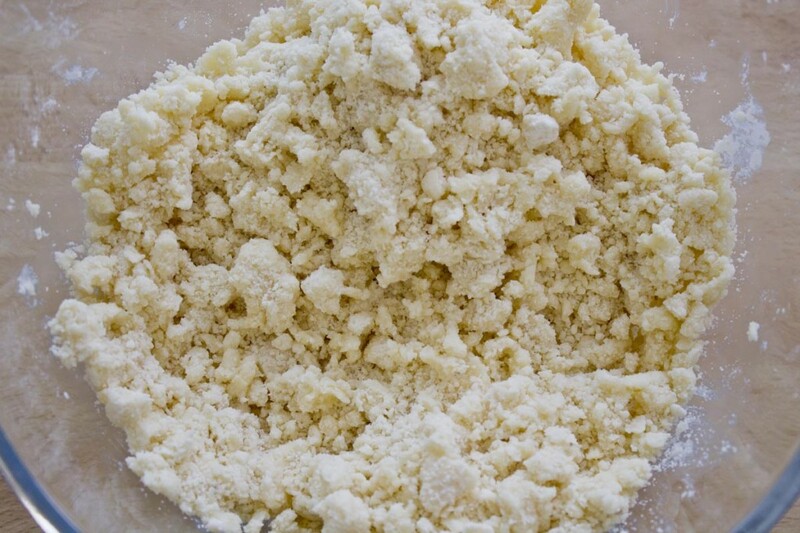 Add the remaining ingredients and mix by hand to obtain a homogeneous dough. Do not overmix. 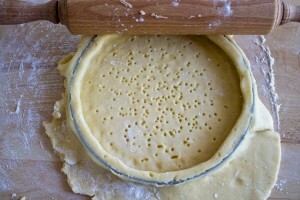 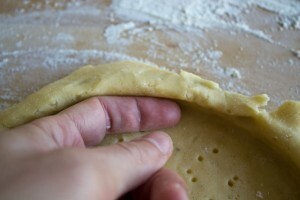 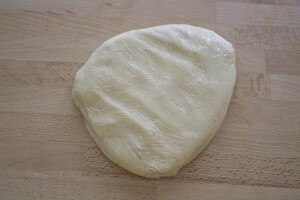 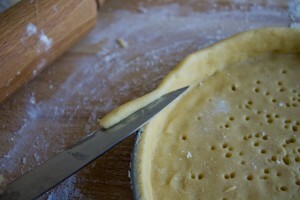 Raise the excess of dough by pressing it against the ring and so that the dough is half cm higher than the ring. Refrigerate for several hours. Place a piece of parchment paper inside the tart and fill it with beans (or other cereals or pastry weights, to prevent the dough from rising) then blind bake at 170°C. 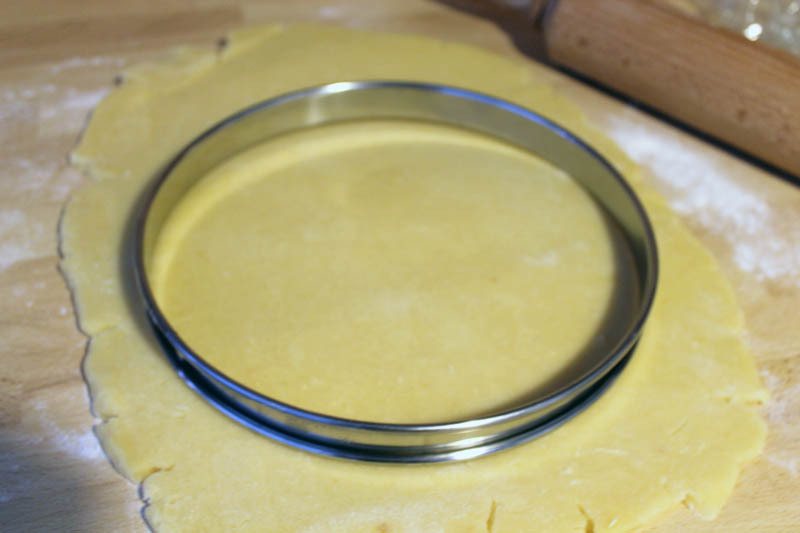 After 15 minutes, remove the tart ring and the weights (and optionally brush the side with egg wash) and bake for 5-7 more minutes. 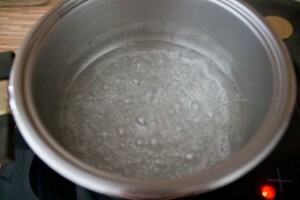 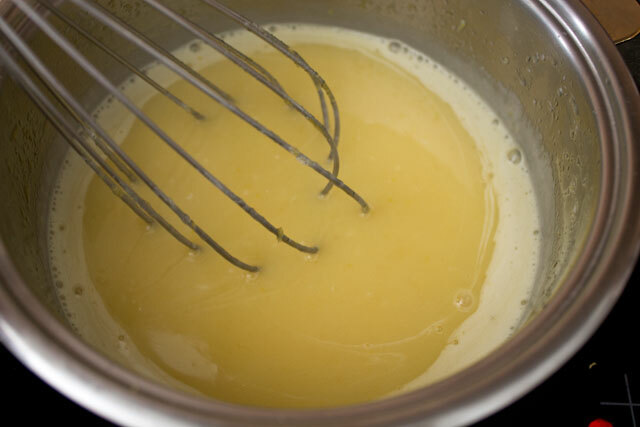 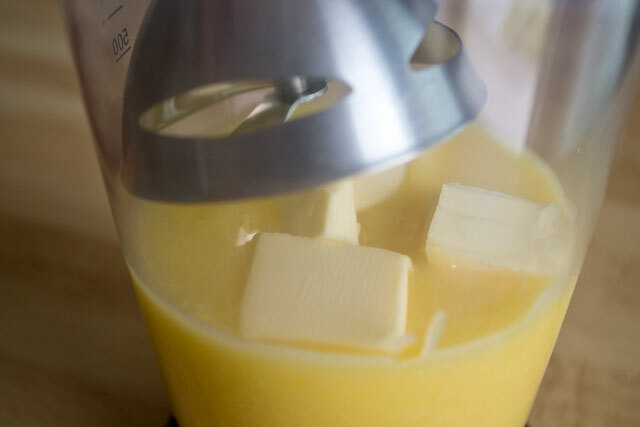 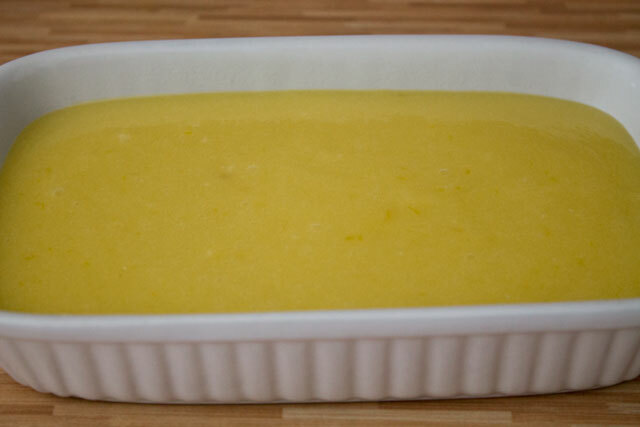 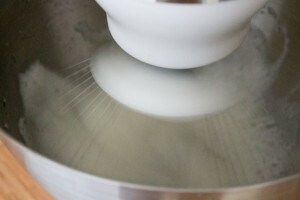 When the mixture is warmer than 50°C, start whisking constantly and vigorously and bring to a boil for one minute. The mixture will thicken like a pastry cream. 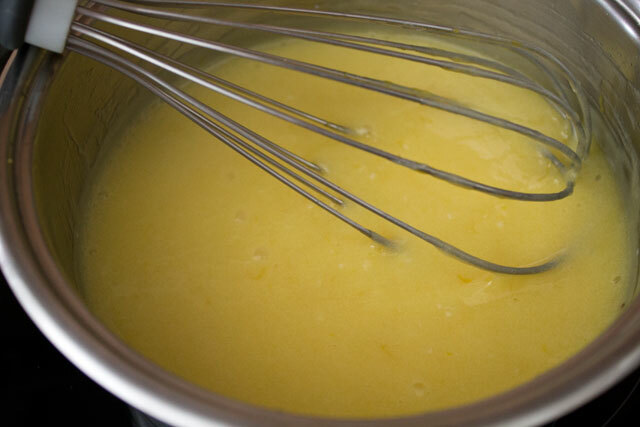 When the syrup reaches 118°C, pour it slowly on the inner side of the bowl after decreasing the whipping speed of the mixer to medium-low. 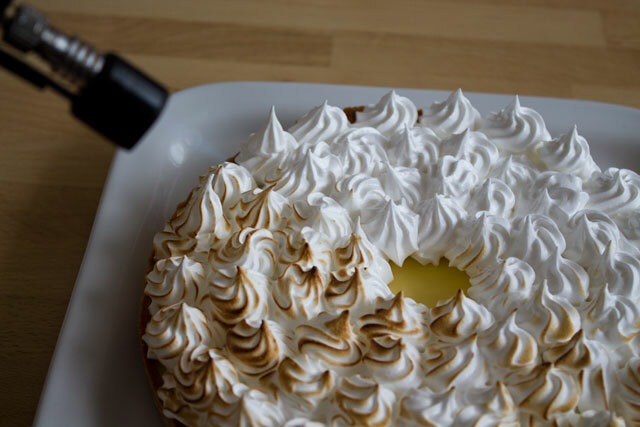 Move a propane torch quickly over the meringue to give it a browned look (but not a burnt black!). 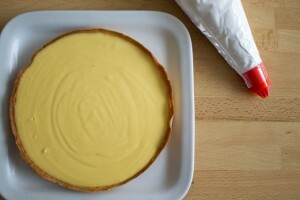 I usually keep the torch always in the same position and turn the cake of 90° when I'm done, to continue on another side. My girlfriend’s parents loved it! 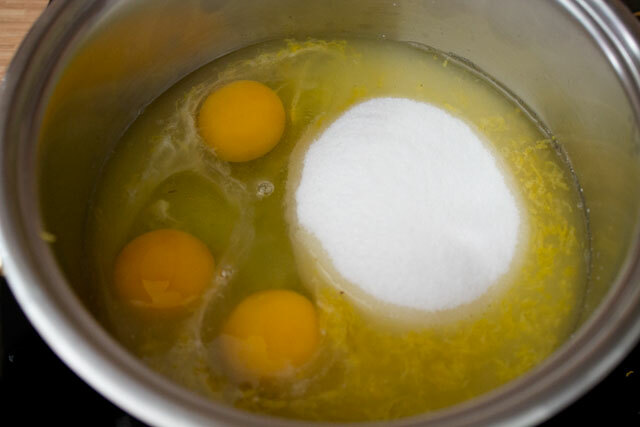 Hello.help me please.when I do an Italian meringue the sugar and water don’t pour in eggs. 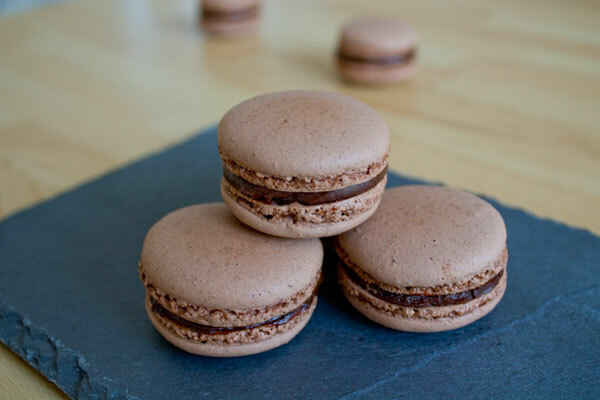 They become like a caramel candy. How should I pour to haven’t a stiff piece of crystallized syrup. 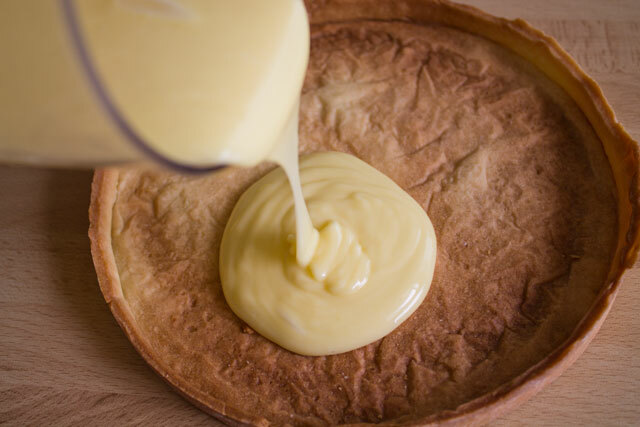 If one does not have a hand held propane torch, how long should the tart go in the over for and at what temperature?